REAL SQUEEZE! Amaze your kids with this science experiment with a egg! The Egg in the bottle experiment is commonly used in many children’s party experiments or primary in their primary school year’s in Key Stage 2. The ‘Egg-Burt, Halloween Count-Burt, or Egg in the bottle to go by many names, illustrates the expansion and contraction of gases. Thanks to Gizmo’s Lab you don’t have to spend a great deal of money contacting a science party company to do a simple experiments, one being this! Simply put, with the egg in the bottle experiment you can do at home for practically pennies! Even after this unique experiment you get the chance to eat the egg! Before you begin: Important! YOU MUST ASK FOR ADULT SUPERVISION AT ALL TIMES. Make sure you are working in an area where you can clean up the ingredients easily! OK. Let’s begin… Ingredients and equipment 1 fully boiled and cooled egg Glass Bottle (use a bottle with a neck narrower then the size of the egg) Matches and Matchbox Safety glasses Now the fun part… Step 1. Remove the shell without damaging the egg. Step 2. Place the empty bottle on a flat surface. Make sure a second person is holding the bottle. Step 3. Place a burning match into the bottle. Immediately place the egg on the mouth of the bottle You will notice that the egg contracts and eventually drops into the bottle! Step 5. Enjoy your experiment! What’s happening? Gizmo’s Lab children’s science birthday parties will tell you. Once you drop the match into the bottle, the flame burns up all the oxygen inside the bottle. This burning up of the gas then creates a vacuum inside the bottle causing the egg to be sucked into the bottle. Great! Now, what would happen if the flame is extinguished too soon? 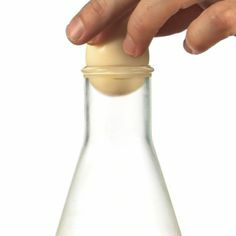 Would the pressure inside the bottle effect the egg in any way? Enter your answers in the comments box below and get your free gizmo’s toy! Explore static electricity experiment here.